• G.I. JOE #27 "Snake Eyes: The Origin Part II"
• PLOT SUMMARY: They were the closest of friends! Now they're deadly enemies! 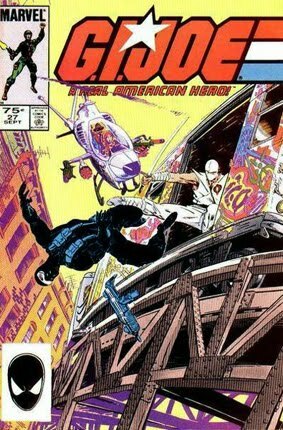 Snake Eyes and Storm Shadow face off on the streets of New York — in a battle to the death!